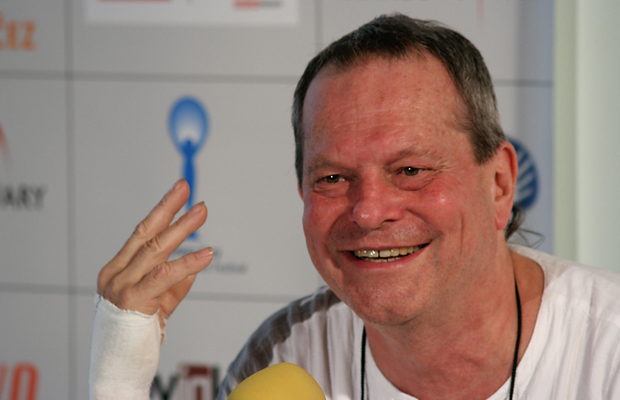 Born on 22 November 1940 in America, Terry Gilliam is a British screenwriter, film director, animator, actor, and member of the Monty Python’s sketch comedy series, Monty Python’s Flying Circus. A look at his personal opinion on his childhood explains it as ‘a Tom Sawyer kind of childhood’ for which Gilliam explains “We didn’t have a television, and my dad was a carpenter, so we were always making things, whether it be a tree house or drawing something or building an igloo.” As he entered his teens, his family moved to Los Angeles where he attended Birmingham High School in California. The year 1958 marks his enrollment at Occidental College. And by the year 1962, Terry graduated with a degree in political science. The migration to Los Angeles had a major role in Terry’s interest in Mad Magazine. A sequence of events made him realize how it felt being a victim of racism in USA. As the political turmoil took place in the 60s, Terry had a fear deep within himself of becoming a terrorist and opting the wrong path. This was when he decided to leave USA and moved to England. Although Terry’s success story is connected to his work for Monty Python, but even before that he contributed as an animator to a children television series, Do Not Change Your Set. The job where he met his future collaborators for Monty Python. Among the other four at Monty Python, Terry was the only American in the cast, where he got the chance to showcase his animation skills. After the completion of Monty Python TV series, the show was updated to a film level in 1975, where Terry co-directed their first big scale project, Monty Python and the Holy Grail. Meanwhile he also worked on hi solo directional debut, and one of his fiction based project. In 1983, Gilliam did his last project with the Monty Python Troupe and headed on his own way. His success stories include directing a series of TV ads for Nike in 2001. They were part of The Scorpion Knockout Campaign, which featured some of the best soccer players on the globe. That campaign went to win a Cannes award in 2002, in the category of Best TV Campaign. He also directed three actors in Oscar-nominated roles; Brad Pitt (Twelve Monkeys (1995)), Robin Williams, and Mercedes Ruehl (The Fisher King (1991)). Ruehl won her Oscar for Best Supporting Actress. Furthermore, Four of his films are in the Criterion Collection – Fear and Loathing in Las Vegas (1998), The Fisher King (1991), Brazil (1985), and Time Bandits (1981).